Even more amazingly, at less than 20mm, the Rolex 2235 falls into the smallest category where the tolerances are at their widest, yet performs well within the tightest allowances reserved for pocket-watches. Having worked on a few of these myself, and being in total agreement concerning both the merits and accuracy of this excellent movement, I thought that it might be a good idea to take a closer look at it and see if we could unearth the secret of its success. Both to satisfy my own curiosity, and the curiosity of Time Zone’s readers, ever thirsty to expand their knowledge of these mechanical marvels of precision engineering. The complete movement with both the automatic module and rotor (oscillating weight) attached. A clearer view of the movement, now that the automatic module has been removed. Note that, unlike the ETA 2892, the automatic module fits onto the movement allowing for larger diameter wheels of the driving train, and more freedom concerning their layout. The disadvantage of this approach is seen in the fact that the ETA 2892 is only 3.6mm thick versus the Rolex 2235 which is almost 2.5mm thicker! Like its larger sibling, the Cal. 3135, the balance wheel has a bridge supporting it with provision for quick and easy adjustment of the end-shake. The underneath of the automatic module. One can clearly see how the reversing wheels have been modified slightly from those of the older Cal. 2135. I’m no mechanical engineer, but my feeling is that the slightly larger steel teeth allow for a more positive locking action when they are turned in reverse. The calendar module is still in place, but the date indicator has been removed. This seems to me to be a slightly simpler calendar layout than the older Cal. 2135, but much more watchmaker friendly as far as servicing is concerned. Top side of the balance wheel. 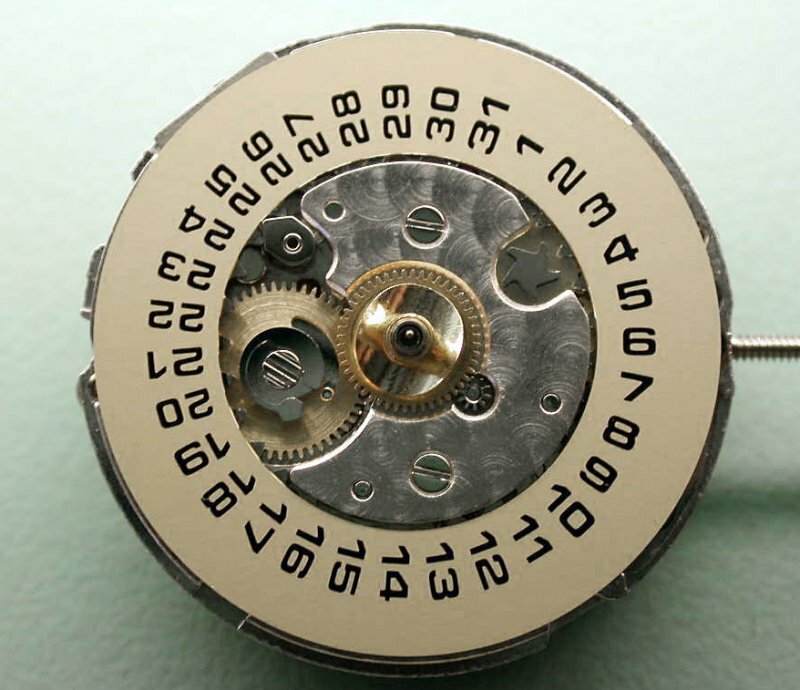 It’s interesting to note that this is quite a large diameter balance — approximately 8mm – for a 20mm ladies movement. This is about the same diameter of the balance wheel in the men’s JLC 889/2. For comparison, the ETA 2892 has a 9mm diameter balance. 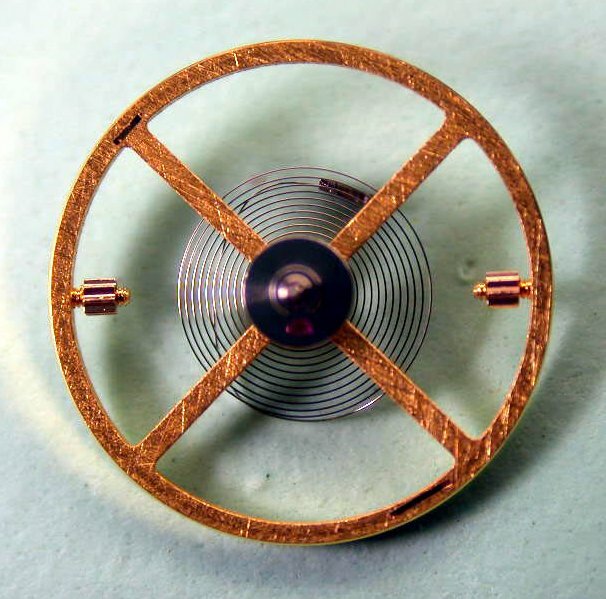 This is probably the smallest diameter balance fitted with a Breguet hairspring. As one can see, the hairspring is attached to a Greiner collet which is friction fitted onto the balance staff. I was a little surprised to see that Rolex chose to use a Greiner collet as they use their own variation of ETA’s Nivatronic collet on their men’s movements, and have for some time. Personally, I don’t see any difference between the two as far timing is concerned. But I do have a preference for the Greiner collet, as I’ve found that the other ones, both Nivarox-Far’s and Rolex’s Nivatronic ones, impossible to demagnetize 100%. Not that it affects the timing in any way, just that it bothers me knowing that. The under-side of the balance wheel. As with most balance wheels that have crossed my bench, the finish on the under-side leaves a lot to be desired as far as aesthetics are concerned. Even the best that I’ve seen are still not that great, but the better ones at least have reasonably smooth and even lines all running in one direction. Just a short note about the obvious lack of careful finishing on the under-side of all balance wheels. First off, I don’t think that any factories make their own balances (or hairsprings for that matter). They are made by specialist companies like Nivarox-Far. This seems to explain their almost complete lack of careful hand finishing, and also the fact that the finish varies quite a bit, both from the different manufacturers, and even within the same calibers. Like the hand made springs, I don’t think that the manufacturers want to mess with them any more than necessary in order to avoid having to redo the dynamic poising, or make them flat or perfectly center them again etc. Of course it would be great if they were at least a little more uniform in the aesthetics department, but then again I would be happier still if all the high-end manufacturers made their main plates out of Invar instead of brass. Aesthetics are less important to me than the quality of the materials used, but I’m sure that there are many of you out there who disagree with me. Ideally the manufacturers would give us everything that we want, but then we’d have people complaining that they can’t afford to buy mechanical watches anymore. A comparison showing the size of the train wheels of the 2235, versus those of the men’s Cal. 3135. From left to right – the great wheel, 3rd, 2nd and escape wheels. Overall, the differences in diameter between the two are virtually negligible. Upon closer inspection, one can see that that the third and second wheels of the cal. 2235 appear to have slightly fewer teeth compared to those of their larger and older sibling. As a note of interest, while the escape wheel of the older Cal. 2135 is not interchangeable with the newer Cal. 2235, the pallet fork is. What this implies is that the basic geometry of the escapement between the two is therefore relatively unchanged. So, what secrets has this closer inspection unearthed. Ha! None really! 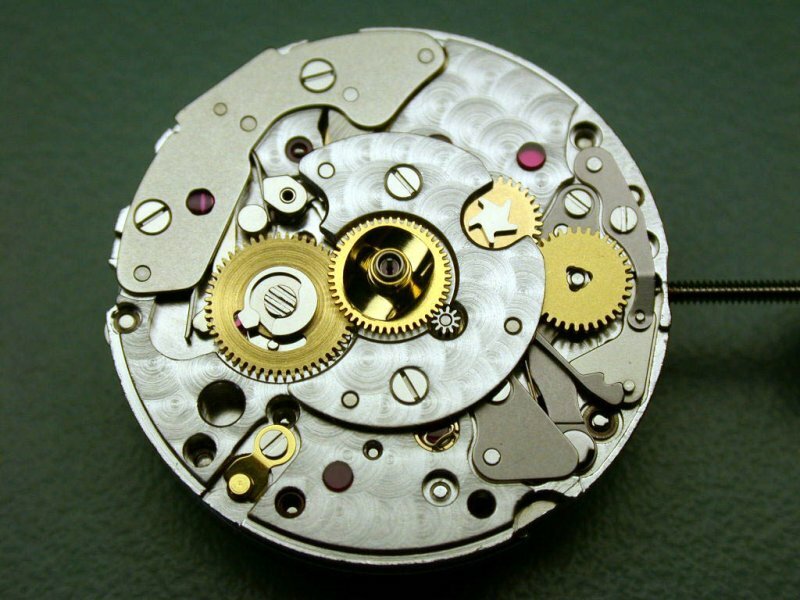 (But if you really want to know more, then see my addendum) Just that Rolex obviously have a good understanding of what constitutes good movement design and implement it with amazing precision. Especially keeping in mind their very large production. They continue to refine their movements, while also bearing in mind the time that it will take to disassemble and reassemble them, when the time comes for servicing them. Just so that you don’t accuse me of copping out concerning the secrets of good timing, let me just add my observations as gleaned from my bench over many years. As previously mentioned in my article on the ETA 2892, accuracy and reliability are the result of intelligent design with well thought out compromises, executed as superbly as possible. Examining the movements that fit into this category does highlight a few important areas that seem common to most of them. First off, almost all of them are high beat (28,800 BPH) movements. I know that some manufacturers prefer a slower beat (usually 21,600 BPH) in order to reduce wear on the pivots. I know that many will disagree with me, but I honestly don’t believe that the gains justify the losses in going with a slower beat. The most important gains are more torque, which usually results in a smoother and more even transmission of power. Greater moment of inertia. So that the balance wheel is disturbed less and recovers faster from shocks and bumps. Also, the fact that the balance is moving faster, means that it’s spends less time in contact with the escapement. These things contribute greatly to increased accuracy and reliability. >stronger mainspring. 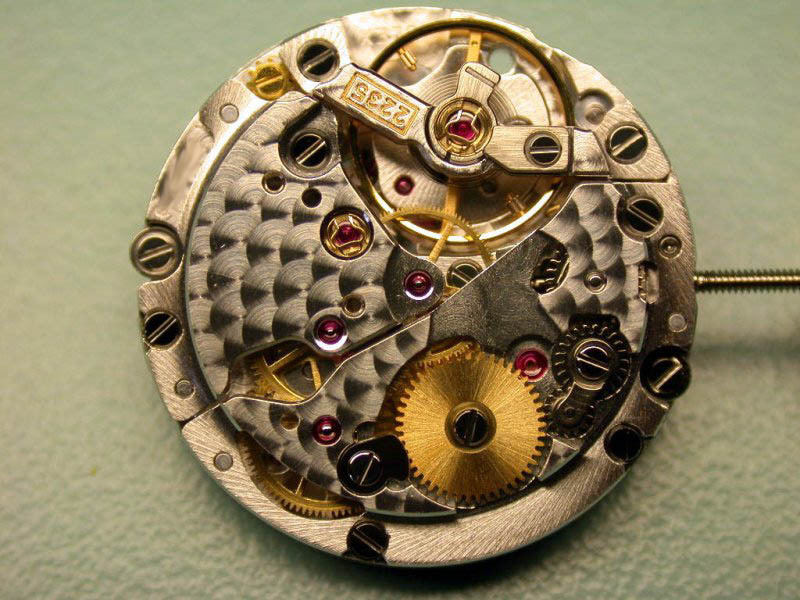 A perfect example of a poorly designed automatic system is the old Patek Philippe Cal. 310. The gear ratios were poorly chosen for the strength of the mainspring used. This not only resulted in poor winding efficiency, but also in the steel ratchet wheel deforming the teeth of the ratchet driving wheel within a short time. The only reason that I say ‘theoretically more wear’ is because in all my years at the bench, I honestly don’t see any difference in wear on the pivots from an old 18,000 BPH watch to the Zenith Cal. 400 chrono, which is the fastest beating mechanical movement currently in production. The one thing that seems to destroy pivots in short order, is moisture in the movement and then leaving it running for an extended period of time before its next service. Poor servicing (i.e. inadequate cleaning, which leaves dirt and dried out oils on the pivots) and careless lubrication is also responsible for worn out pivots. It’s also worth noting that the metal of the pivots used in watches today is generally quite a bit softer than that used even 20 years ago. The older watches had pivots that were unnecessarily hard. Just try to polish one of these by hand and you’ll see exactly what I mean. By not hardening the pivots (and screws) as much as they used to, the manufacturers can cut and finish them faster. An added benefit is that their tooling will last longer too. Obviously there’s a fine line here – and if the hardening process is not carefully controlled, they can end up with parts that’ll wear out too quickly regardless of everything else being up to par. Smooth and even transmission of power also helps considerably in the accuracy department. Easier said than done. But obviously a good understanding of the mechanical principles involved, together with the knowledge gained from decades, if not centuries of experiments. The older watches relied on the fusee, maltese cross in the barrel etc to achieve that aim. 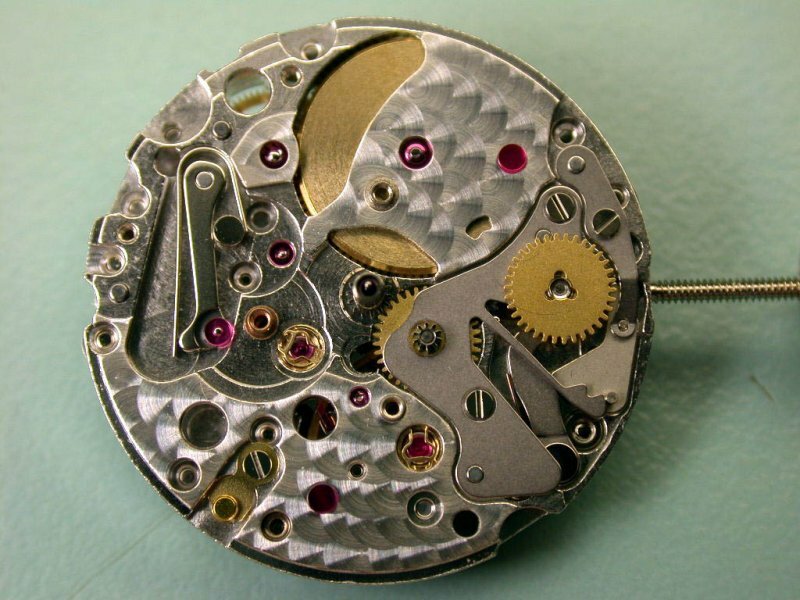 Modern watches rely on specially shaped teeth (such as the ETA microgear toothing), correct shape and material of the mainspring, modern lubricants, careful lay-out of the drive train and the smooth rolling of the Glucydur teeth on the steel pinions. Variations in amplitude on my timing machine are consistently the least with the modern Rolex calibers and the chronometer grade ETA 2892 and its variants. With the Valjoux 7750 and JLC 889 being not too far behind. A well designed and accurately set up escapement is a given. 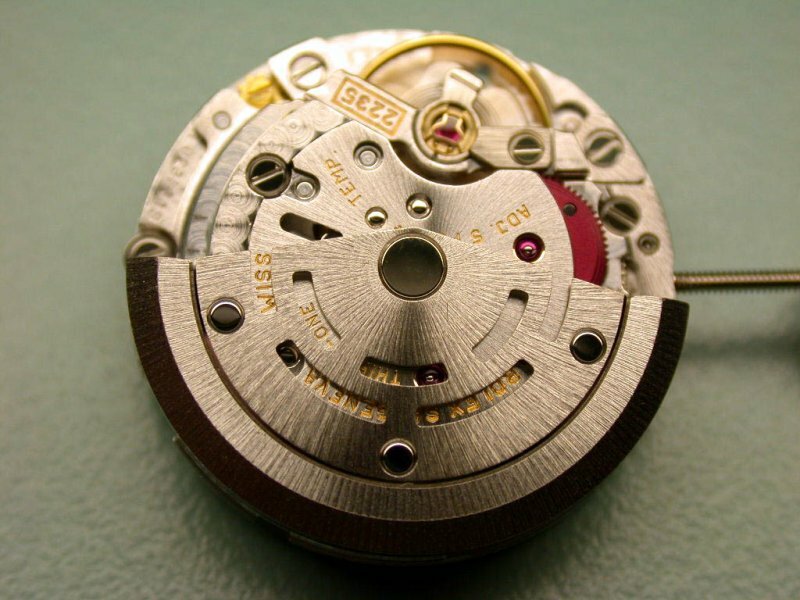 This, together with a modern Glucydur balance that has been dynamically poised by computer and used in conjunction with an excellent hairspring are just some of the ‘secrets’ of an accurate movement. 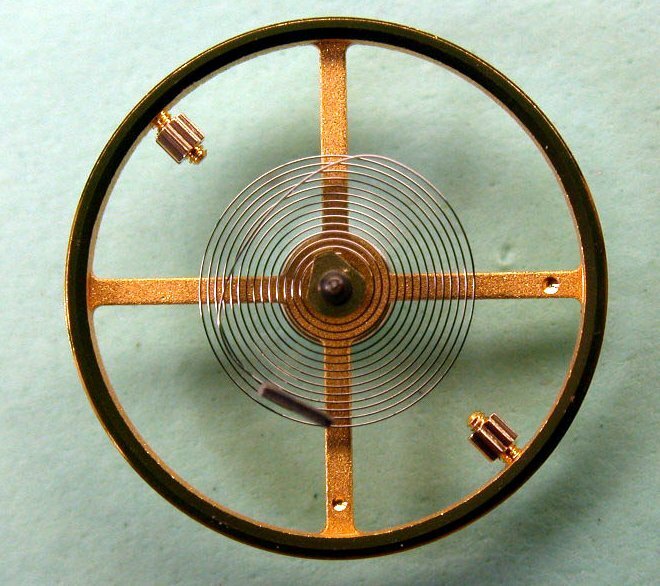 And what I mean by ‘excellent hairspring’ is both it’s shape and material. Rolex and ETA (in their chronometer versions) both use the highest quality Anachron for their hairsprings. 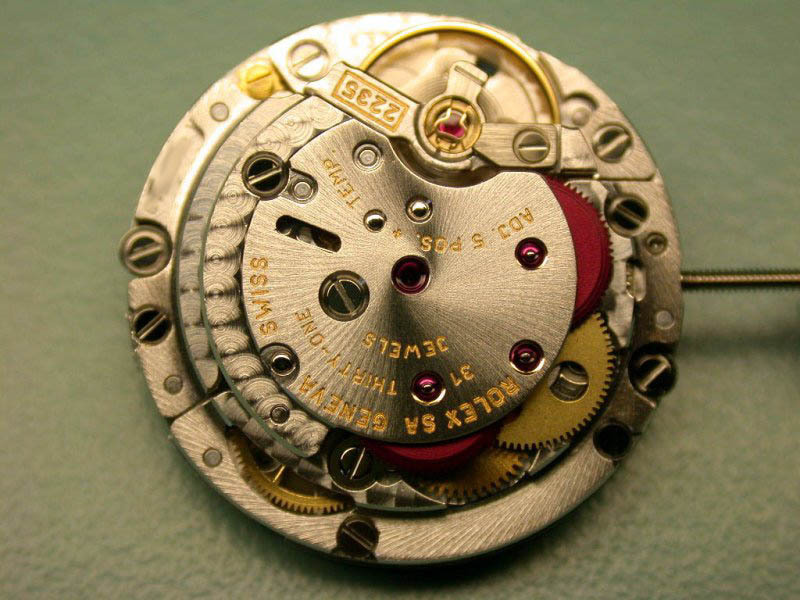 Rolex having refined and perfected the Breguet hairspring, and ETA having refined and perfected the flat hairspring with dog-ear bend to achieve virtually identical results. 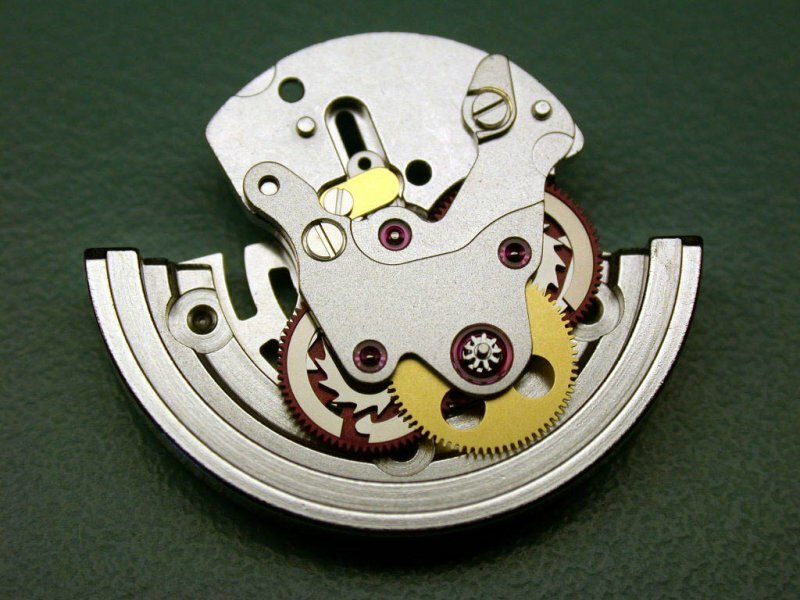 The fit and finish of important parts — escapement, balance wheel and hairspring etc — is exemplary. While the decoration of the basic plates is really quite crude where visible, and virtually non-existent when it’s out of sight. This might bother some people, but Rolex obviously spare no expense concentrating on those parts that affect precision and reliability while just giving a basic nod to bare-bones decoration of their movements. I know that some people might attribute this movement’s extraordinary precision to its Breguet hairspring, but I’m not one of them. Putting this movement on a timing machine shows its very smooth and exceptionally stable transmission of power from the barrel to the escapement, and putting it through its paces in the various positions shows its absolutely astonishing isochronism. This is the same type of performance that I see in the better adjusted Omega watches fitted out with their Daniels escapements — and the latter do not have Breguet hairsprings. All in all, I’m very impressed with Rolex’s new movement. I really take my hat off to them for not sitting on their laurels, because there really was no pressing need for them to update their already accurate and reliable Cal. 2135. While other movements do match it, both in terms of precision and reliability, none do it with the volume and consistency of Rolex. A tribute not only to both their movement designers and precision engineering, but also to their amazing quality control.